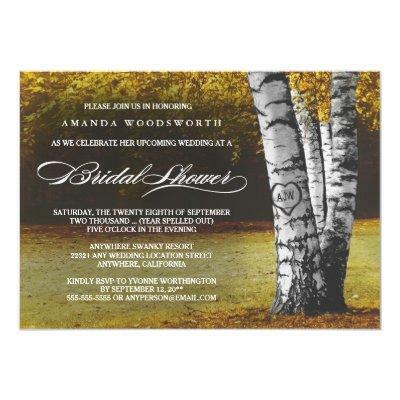 Fall Birch Tree Rustic Bridal Shower Invitations - features a grove of birch trees. Design also features an element where you can carve initials into the main tree. The background features a woodsy landscape in autumn shades with elegant fonts. See the entire matching collection below.